Company achieves return on investment of CSG’s Workforce Express Optimized Appointment Scheduling capabilities within days of deployment. What if you could deliver a superior customer experience while creating an opportunity to generate $4.6 million in new annual revenue or lower costs by $650,000 per month? A Tier One North American cable provider achieved these results in one of its key regions by focusing on a critical part of the customer experience: optimizing its 7,000 field technicians to better respond to the constant shifts in schedules so that fewer were left unfilled each day. Nearly 20% of all scheduled service appointments are left unfilled each day due to changes in customer needs and preferences. 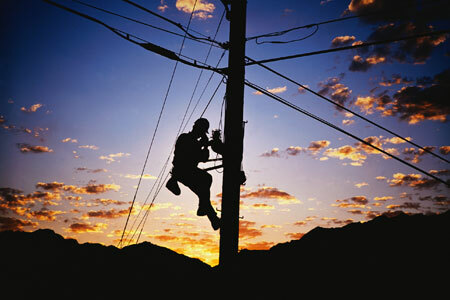 A Tier One North American cable provider leveraged CSG’s Optimized Appointment Scheduling capabilities within Workforce Express to dynamically reallocate field technicians so that every possible minute of the day is utilized. A 73% increase in daily booked jobs in just one market, equating to a productivity increase valued at $4.6 million per year. Dynamically identify unused capacity that has the potential for the provider to add 4,800 new installs or 9,600 trouble calls in a single month without adding new resources or relying on third parties. This additional capacity equates to the ability to generate $485,000 in net new revenue and $640,000 in lowered costs per month. Schedule changes are a part of business in the fast- paced world of digital services. Because customers cancel, reschedule, and request same-day appointments throughout any given day, as much as 20% of previously scheduled appointments are cancelled or rescheduled each day. These empty slots lead to lower productivity, higher costs and a lost opportunity to delight a customer with a same-day repair or installation appointment. Significantly improved productivity. In California, for example, CSG Optimized Appointment Scheduling triggered a 73% increase in daily booked jobs, equating to a productivity increase valued at $4.6 million per year. By dynamically identifying capacity that would have otherwise gone unfilled, the provider also identified the potential to add 4,800 installation appointments (or 9,600 trouble calls) in a single month without adding new resources or utilizing third parties. An opportunity to generate significant new revenue. By dynamically identifying openings on technician schedules and providing more appointment options, the provider has the opportunity to fill unused capacity worth an additional $485,000 in net-new monthly revenue. Lower costs. When providers do not have enough resources to fulfill install and trouble-call appointments on a given day, they rely on third-party skilled contractors to manage the workload. By shifting technician resources to open slots dynamically, the provider was able to calculate a productivity increase of $640,000 in just one month. Filling more appointments throughout the day. The company’s California market collectively reported a 32% improvement in its ability to offer first-available appointments across all job categories. The provider’s Houston market reported a 42% increase in its ability to offer and fulfill first-available appointments for new service installations. Delivering a superior customer experience. By fully optimizing and scheduling its field resources, this provider was able to make credible claims about quicker installs and turnarounds for a differentiated customer experience. Increase technician productivity by booking more work in a given day as time permits. Traditional methods for planning technician capacity still left time unused that could have been allocated to meet customer demand. The provider aimed to increase productivity and adjust technician schedules in real-time so that it could fully maximize technician availability against appointments even as they shifted throughout the day. Continue to improve customer satisfaction. The provider sought further improvements in average on-time arrival and average time-to repair/install—two key productivity and customer satisfaction metrics. Lower costs. Time is money. Improving technician productivity directly translates into lowering the costs of doing business, which enables the operator to reallocate money to other strategic initiatives. Eliminate all manual processes associated with managing technician time, or quota, even as schedules and availability change. This leaves more time for dispatchers and operations leads to focus on planning and addressing more strategic business initiatives. This provider first deployed the scheduling features within CSG Workforce Express to begin the process of streamlining schedules across all technicians. With the scheduling components in place, the provider then launched CSG’s Optimized Appointment Scheduling capabilities to take efficiencies one step further. The company’s western territory initially rolled out CSG’s Optimization and Scheduling features, where it relies on 7,000 field technicians to support more than 9 million subscribers across the region. The company’s tests in its initial markets exceeded expectations and continues to drive improvements across all of its key performance measurements. As a result, the providers’ western business unit enabled the Optimized Appointment Scheduling features within CSG Workforce Express across all of its markets to support more than 7,000 technicians and 9 million subscribers. Today, the scheduling component of the solution is being rolled out across all of the company’s North American markets with full deployment of Optimized Appointment Scheduling expected throughout 2017.